Meet the 62 biggest power players of our city, including the editors' pick for person of the year. Sparks fly every year when our panel of experts assembles to choose Seattle’s boldest, brightest, brashest and bossiest movers and shakers from the past year. And 2012 is our biggest list yet—with 62 names—featuring high flyers who are definitely on your radar, and others who sneak under (or try to!). Some of their stories will put a smile on your face; others will put your teeth on edge, but that’s the beauty of this list: Love ’em or hate ’em, there’s no denying their impact. 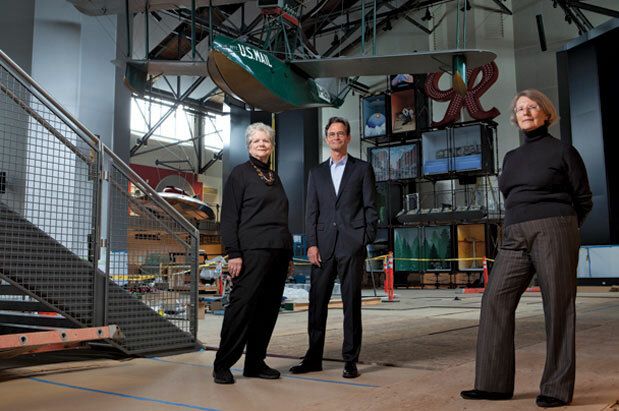 This month, the Museum of History & Industry (MOHAI) reveals its new, improved and moved location in the former Naval Reserve Building (Armory) at the foot of Lake Union. The colossal endeavor—you thought your closets were packed with old stuff—couldn’t have happened without countless people, but especially these three MOHAI staff members: Ann Farrington (left, in photo), creative director of new museum design; Leonard Garfield, executive director; and Lorraine McConaghy, historian. The result is an airy and exciting home for Seattle history, where the focus is on bridging our city’s rich past with its vibrant future. At times, it sounded more like a Mensa smackdown than a gubernatorial race, with über-intellectual candidates Inslee and McKenna arguing policy in one of the tightest races for governor in the nation. Behind the scenes at the Inslee campaign was Joby Shimomura, who returned to politics after a hiatus spent working as a stained-glass artist. Shimomura has worked off and on for Inslee for 16 years (including six years as his chief of staff in D.C.), and is a former political director for the state Democratic Party. At McKenna headquarters is Pepple, a former congressional chief of staff, head of the Northwest offices of communications consulting firm Hill & Knowlton, and most recently, CEO of his own strategic communications consultancy. As the race progressed in a virtual dead heat, it was anyone’s guess who would wind up on top in last month’s election—results weren’t final at press time—but for these two campaign managers, the stakes in 2012 were higher than ever before. The 5th Avenue Theatre's production of Oklahoma! No one expects controversy to be spurred inside the 5th Avenue Theatre, stronghold of feel-good Broadway musicals and mausoleum to singsong classics. 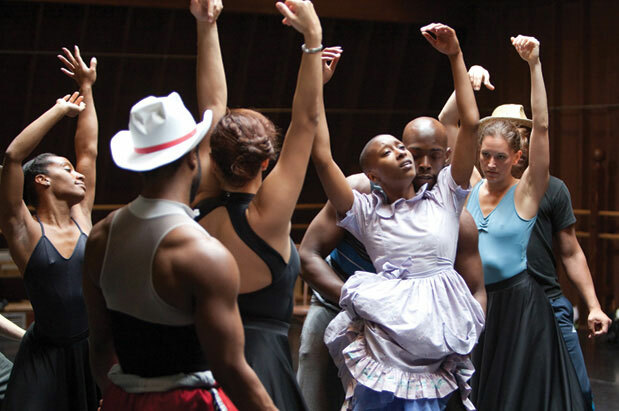 But controversy is what ensued after the February premiere of Oklahoma!, directed by Peter Rothstein and choreographed by Seattle’s own Donald Byrd (of Spectrum), in which a black actor (Kyle Scatliffe) was cast as the antagonist Jud Fry—a choice that added palpable new tensions to a once-soft script. The decision was a collaborative choice, one that artistic director David Armstrong supported even in the wake of complaints from subscribers and reviewers. The important thing? A Rodgers and Hammerstein musical prompted audiences to think about race, tradition and boundaries in art. What more could a creative team ask for? After years of presiding in respectable but relative obscurity on cable access’s Seattle Channel, C.R. Douglas is now plying his political trade in the mainstream. Since 2011, he has been bringing snappy, smart daily political reporting, including longer-form interviews, to Fox affiliate KCPQ. His quarterly, one-hour show Public Matters with C.R. Douglas debuted this spring on PBS affiliate KCTS, where he astutely moderates panel debates—employing the Socratic method, no less—tackling issues from gun violence to gay marriage. Talk about demographic range. Named to her post in 2009, Wakefield has been steadily and surely raising the bar for Seattle’s four community colleges, championing the new behavioral sciences degree at Seattle Central Community College, promoting green and sustainable curricula and focusing on student retention. At a time when community colleges are being called on to fill a huge gap due to skyrocketing tuition at the four-year institutions and laid-off adults attempting midcareer reinventions, her work is greatly needed and starting to pay off. In 2012, a record 4,500 students graduated from the system. 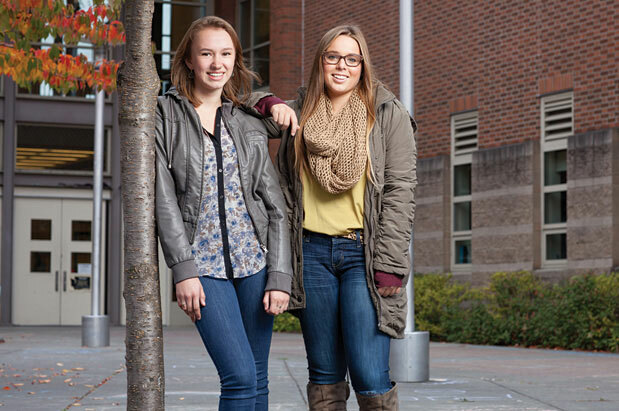 It was front-page news when the editors of Ballard High School’s newspaper, the Ballard Talisman, got word of a school district plan last November to squash the free press rights of student papers with the requirement that “material must be free of content that runs counter to the instructional program.” Kate Clark and Katie Kennedy quickly raised an outcry, plastering signs around town and encouraging action at school board meetings. Two weeks later, the proposed new policy was scrapped. This Australian-born traffic reporter hit the information superhighway hard, harnessing the power of social media in a way that few others have. Her more than 54,000 followers on Twitter and 149,000-plus on Facebook attest to her popularity; she’s the most followed female local journalist on Twitter and Facebook in the country. 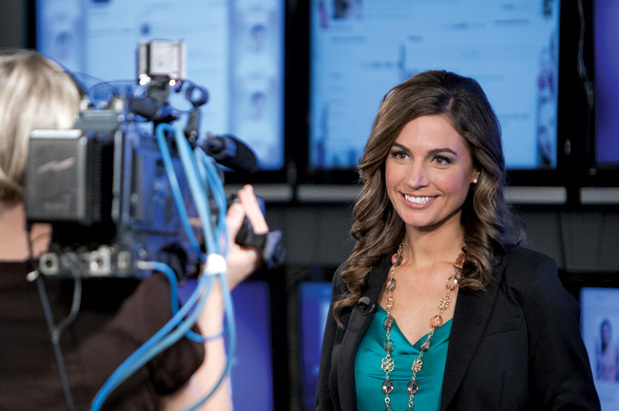 To see evidence of her range, look no farther than her mobile tweetup, her Emmy Award–winning social media strategy to raise money for charity; or Social7, her new live, primetime social media program on KIRO, which trends at number one nationally when it’s on. Albaugh retired just five months ago, but not before brokering a deal that will have enormous impact on our local economy: The agreement between Boeing and its machinists union ensures that the 737 MAX will be built in Renton. It’s a “tsunami-sized deal,” according to Senator Maria Cantwell, and by all accounts, Albaugh set a new tone of peace during the negotiations. The first MAX jets are set to roll off the line sometime in 2017; so far, Boeing has received 700 orders for the plane. 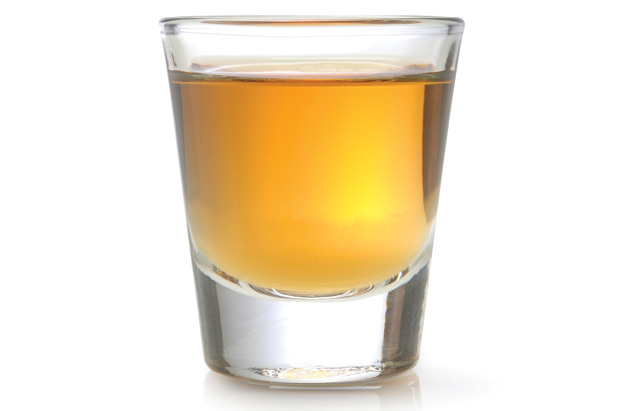 Thanks to the passage of Initiative 1183, the so-called “Costco law,” consumers in Washington state can now snag booze along with their industrial-size tubs of peanut butter and all-season radials. Backed by the Issaquah-based warehouse giant to the tune of $22 million in contributions, the privatization initiative’s impact on consumers is still unclear, but there’s no denying the convenience of one-stop shopping for all the ingredients to bake that holiday rum cake. Steve Singh’s software company has been helping businesses simplify travel and expense processes since ’93, but recent investments and acquisitions have propelled Singh to several best-exec lists, including that of sister publication Seattle Business magazine. Following the purchase of trip management service TripIt last year, Singh’s Redmond-based business announced an investment in hotel search and booking website Room 77 in February. 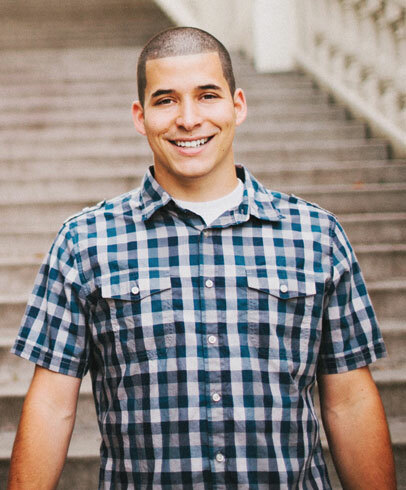 Jeff Bethke, the "YouTube preacher"
His polarizing poem, posted on YouTube on January 10, has garnered him a whopping 22.7 million views (as of early October), legions of fans, especially teens, and harsh criticism from some high places, but Jeff Bethke (shown right) isn’t apologizing. The 22-year-old Tacoma man isn’t a pastor; he’s a poet, with strong opinions about religion. “Why I Hate Religion, But Love Jesus” is an indictment of hypocrisy and self-righteousness—and a touchstone for many who call themselves spiritual but not religious. Fame has the former after-school sports coach fielding job offers; he got married in October, and launched a brand-new college ministry in Tacoma called For the King (fortheking.tv). When the National Council on Education for the Ceramic Arts (NCECA) brought its annual convention (along with 5,000 ceramic fanatics) to Seattle last spring, Levy took her hostess duties to the mostess. She coordinated ceramics events and exhibits at 183 venues scattered from Bellingham to Tacoma, and in the process brought a wave of new attention to Seattle’s longstanding and impressive ceramics scene. The failure of major banks in recent years wrecked a lot of 401(k)s, trashed a lot of big-bank reputations and left many of us with a taste for a different kind of banking. Enter Washington’s largest member-owned, nonprofit credit union, BECU, which, not surprisingly, saw explosive growth since the meltdown—nearly doubling the number of members in the past two years alone. The best thing a lot of folks don’t know about BECU: You don’t need to work at Boeing to join. When it comes to uncovering waste, fraud and corruption, this powerhouse team of five investigative journalists is second to none. Their mantels already bow under the weight of dozens of local and national news awards, but 2012 was a high-water mark of sorts; a pair of influential investigations netted them both the prestigious Peabody and Edward R. Murrow awards. “Their Crime, Your Dime” exposed food stamp and welfare scams, leading to immediate changes at the Department of Social and Health Services, and the creation of a brand-new state fraud-prevention squad. “Bully with a Badge” uncovered problem officers in the King County Sheriff’s Office and exposed how citizen complaints were ignored and patterns of police misconduct were tolerated. 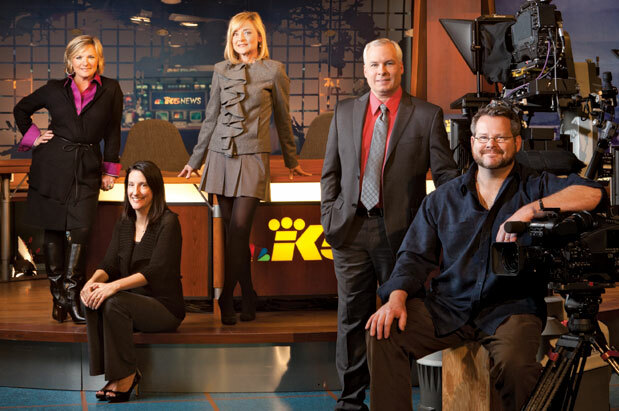 The KING 5 Investigators’ reports have led to congressional investigations, changes in laws and public policy, criminal convictions and more. In the Olympic boxing ring on August 5, Great Britain went toe to toe with the USA in a preliminary, hard-fought bout, but for the first time in history, the two competitors were women. Representing the stars and stripes that day was Queen Underwood, the Seattle breakout star who, along with Houston-based Cover Girl Marlen Esparza, helped raise the public profile of the event. Though the Queen lost in the opening round, her fighting spirit was inspirational. When it comes to public safety, Jenny Durkan doesn’t just hit, she hits hard, and 2012 saw her come out swinging. She was the driving force behind the investigation that demanded reforms of Seattle’s police department. She (along with King County prosecutor Dan Satterberg) pushed to try local gun crimes—at a terrifying high this year—under federal sentencing guidelines, allowing for tougher penalties. And that so-called “gun show loophole,” which allows the purchase of guns from unlicensed sellers, thereby dodging the background check? Durkan isn’t waiting for Congress to act, instead prosecuting unlicensed sellers. 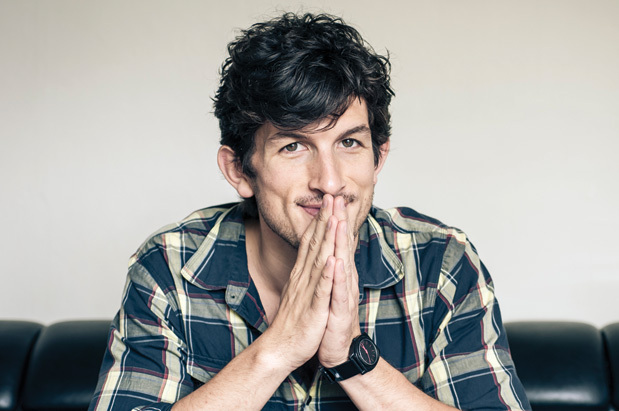 Nationally renowned Intiman Theatre almost closed forever in 2011 due to money troubles, but this 29-year-old visionary refused to allow Seattle to let it die. Against all reason, Russell dreamed up a new vision, assembled a board and an artistic company, raised $1 million in pledges, and launched a lively and financially sustainable festival that proved good theater deserves a second chance. You can’t accuse lawyer to the city Peter Holmes of playing it safe. In his first term, the Seattle city attorney pushed to legalize marijuana, writing a pro op-ed in The Seattle Times and ending simple pot prosecutions in the city; brought a lawsuit against an anti-tunnel measure, in direct opposition to Mayor Mike McGinn; and strongly backed the Department of Justice on police reforms, another in-your-face stance against the mayor. And suddenly it was there. A 175-foot-tall lightning rod that had some Seattleites over the moon, and others grumbling about the surprise blemish added to their city’s waterfront skyline. For Griffith, who owns the pier and wheel with sons Troy and Kyle, this feature is 30 years in the making and a crucial financial boon during the imminent years of tourist-discouraging Viaduct construction. Like it or not, the Great Wheel is here to stay and it’s doing well. 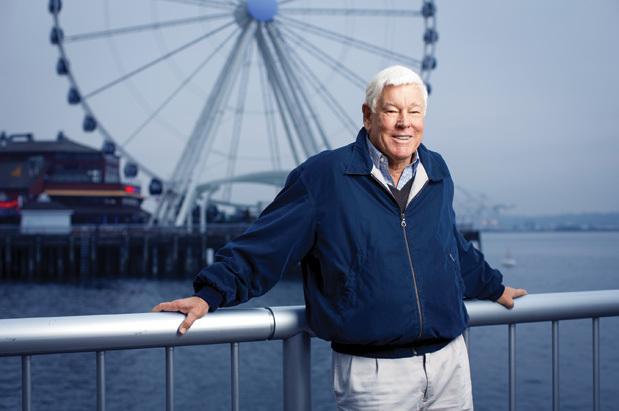 Since it opened in June 2012, the Seattle Great Wheel has seen scads of happy customers go round. She’s everywhere this year. The woman who launched Boat Street Cafe a dozen years ago and floated a swimmingly successful pickle enterprise is all over the culinary landscape lately. Alongside her partners/pals Chad Dale and Jeremy Price, Erickson added to her hot streak with an expansion to handle the adoring crowds at The Walrus and the Carpenter—there’s a new prep kitchen—as well as rolling out a new restaurant, The Whale Wins, with its wood-fired oven for meat, whole fish and vegetables, and a fancy oyster truck, Narwhal. Menus at the new venues are inspired by a bit of international travel, especially southern Europe and northern Africa. See? Everywhere. 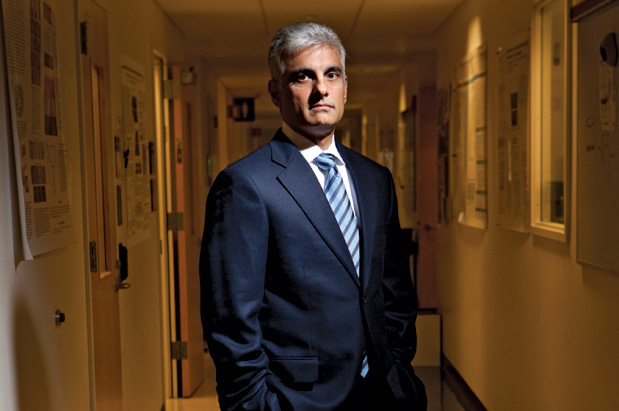 For years, Hingorani’s research has been advancing scientific understanding of pancreatic cancer—how it works, why it resists treatment—but his newest breakthrough is most exciting of all. News came this year that Hingorani and his team have uncovered a promising new treatment strategy for pancreatic cancer called “enzymatic therapy,” which essentially opens up tumors so that drugs can get in. The treatment is in early clinical trials, and it could be years before enzymatic therapy becomes available, but with Hingorani hammering away at it, pancreatic cancer—which killed an estimated 37,000 Americans this year alone—could one day meet its match. Until this year, killing someone with your car could land you in jail for less than three years. Our state’s vehicular homicide sentencing guidelines got a lot tougher in June—more than doubling the range—due to a push by Satterberg and other prosecutors. Now, killing someone while driving drunk is akin to first-degree manslaughter, carrying a sentence of up to eight and a half years. Next up: Satterberg is pushing bills that boost sentencing levels of crimes involving juveniles and convicted felons caught with guns. She helped spearhead a six-month-long 50th anniversary celebration of Seattle’s 1962 World’s Fair that not only stirred nostalgia for Seattle Center’s colorful past, but engaged active interest in its future, from an architectural design competition for the renovation of Memorial Stadium to the unveiling of the redesigned Center House food court, to endless community events and celebrations. This leader is getting Seattleites back to Seattle Center. Behind a battered door in a temp-controlled SoDo warehouse, Jon Rimmerman has changed the way savvy wine enthusiasts shop since launching his online business Garagiste in 2006. Like the legendary importer Kermit Lynch, Rimmerman roams the world, looking for small producers making flat-out fantastic wine, stuff usually not found outside the region. Then, this high-flying purveyor/pundit shares his terrific finds directly among an ever-growing legion of loyal fans via regular e-mail blasts. After buying online, shoppers can pick up the goods or have bottles shipped (but just twice a year). We’ll drink to that. For eight years, Christian Chabot has helped companies see the big picture with his popular Tableau software, which organizes data graphically, making it comprehensible to regular folks and scoring eight consecutive years of record sales and explosive growth for the company. These days, just about everyone is using the oft-hiring company’s software. Plus, Tableau was voted one of the Puget Sound region’s best places to work this year. The hugely successful video-game creator is also gaining buzz for his boss-free business model. More than 300 employees roam free inside three stories of Valve’s Bellevue office tower, and not one of them is a manager or boss (even Newell). The Microsoft vet formed Valve in 1996 and started releasing wildly popular games, including the Half-Life first-person shooter series. This year, the company began testing its new television-friendly interface, Big Picture, a portal for buying and playing games via its distribution service, Steam. Up next: gaming goggles. The Pacific Science Center turned 50 this year, and under Seidl’s direction, it graduated from old school to way cool with renovations (including a revamped IMAX theater), innovations (a first-ever science fest), the reprise of oldies but goodies (hello, King Tut! )—and capped the year with a 2012 National Medal for Museum and Library Service, the top honor for museums in the country. It takes a lot of superlatives to tell the story of our city’s transportation system: The largest-bore tunnel in the world is about to be carved out of Seattle’s waterfront. The longest floating bridge on Earth—the 520—is being rebuilt with the largest concrete pontoons ever in the Evergreen State. It’s all part of the biggest, most ambitious capital program—$16.3 billion—in our state’s history. Overseeing all of this, along with Washington’s aviation and rail systems, the nation’s largest passenger and automobile ferry fleet and nearly 7,000 employees is Paula Hammond. You could say it’s her biggest year yet. When you’re trying to raise $250 million for a new fund, and you hit $300 million instead, you could call it a big year; for Matt McIlwain, director of Seattle’s biggest venture capital group (you know, the one that was an early investor in Amazon.com and has nearly $1 billion under management), 2012 set a new bar. Pretty amazing, considering the nagging recession. 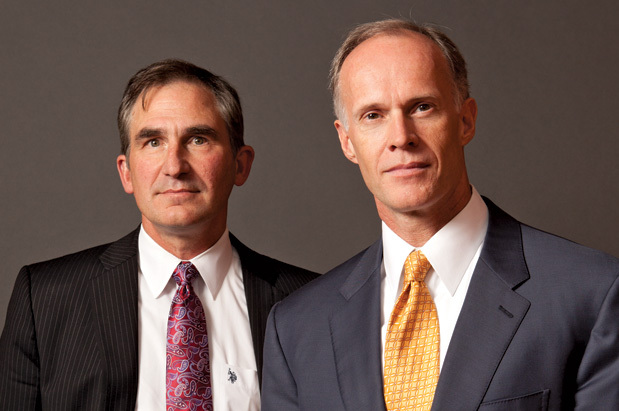 The new fund—Madrona’s fifth—will focus on funding Northwest companies. When Jean Floten gave up the helm of Bellevue College after 23 years, it was for an opportunity she called “exciting and invigorating”—the chance to run a newly formed online, nonprofit university. Formed by 19 governors (including former Washington governor Mike Lowry), Western Governors University Washington (WGU Washington) is our state’s arm of a national program that offers bachelor’s and master’s degrees to working adults usually in less time and at less cost than a traditional four-year university—at no cost to taxpayers. While some consider giving academic credit for work experience the equivalent of selling a degree, the 236 members of the first class to graduate (earlier this year) just seemed happy for the opportunity. Denis Hayes knows how to plant a seed. A career conservationist, his early days as an environmental activist included organizing the first-ever Earth Day in 1970. 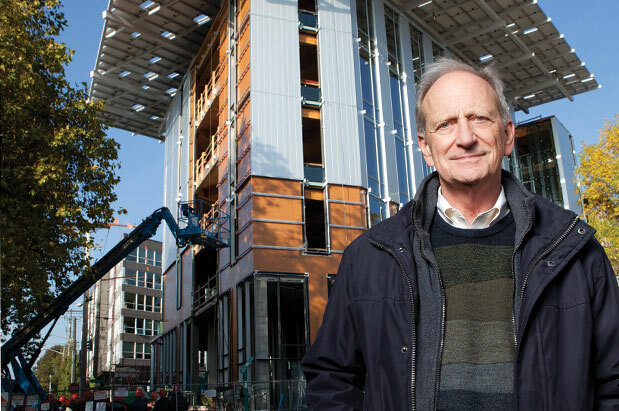 Fast-forward to 2012: Under Hayes’ direction, the foundation established by Dorothy Bullitt 60 years ago to focus on children's issues, culture and peace has morphed into an exclusively environmental organization and will settle into Capitol Hill’s Bullitt Center, which has been lauded as the greenest commercial building in the world. Beloved local writer/director Lynn Shelton continued her skyrocketing success in 2012, this time with the charming film Your Sister’s Sister, which premiered at Sundance, was picked up for a nationwide theatrical release and opened the Seattle International Film Festival—marking the first time in SIFF’s 38-year history that the opening film was locally produced and shot by a Seattle filmmaker. Shelton is definitely putting our city’s film scene in the national spotlight. To understand the impact of this cell-phone innovator, look no farther than your smartphone. If you’re like many users, you’re constantly frustrated by the tedious, buttonless “keyboard” that auto-corrects texts into gibberish. Enter Swype, a new touch-screen technology that lets you type by connecting the dots between letters in a word, without lifting your finger from the screen. The new technology is garnering high praise for enabling fast, accurate texts; it’s rolling out this year on certain Android phones. Once the plan to put a permanent exhibit of Dale Chihuly’s glass art on the grounds of Seattle Center was approved, Chihuly Studio, under the leadership of Dale’s wife, Leslie (along with Space Needle chairman Jeffrey Wright and Chihuly Studio vice president of operations Billy O'Neill), worked tirelessly to make Chihuly Garden and Glass a place that would be welcoming, rather than (as critics feared) exclusive. As part of this effort, Leslie Chihuly helped sign on several nonprofit community partners, including Pratt Fine Arts Center, Pilchuck Glass School, ArtsFund and Seattle Public Schools—the last of which was an especially influential connection, since Chihuly Garden and Glass funded a new science curriculum based on glassblowing for all Seattle eighth-graders. Bonus influence: In her role as board chair of the Seattle Symphony, she has helped update the symphony’s image with innovative programming, including Sonic Evolution (for which composers create new works based on Seattle music heroes, such as Kurt Cobain and Jimi Hendrix), which she designed with maestro Ludovic Morlot. 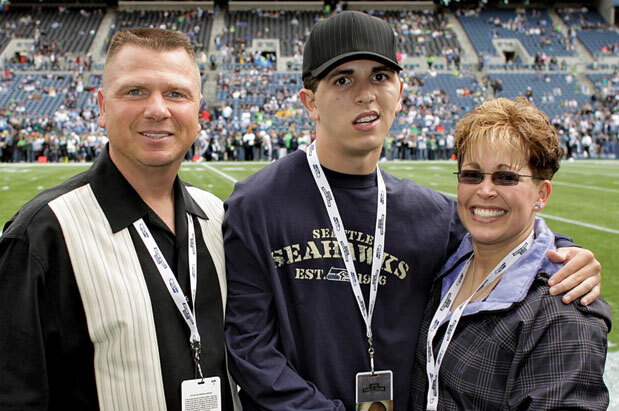 A star football player for Tahoma Junior High School, Lystedt suffered a traumatic brain injury during a game in 2006. Though left with severe disabilities, he survived, and is now on a mission to make certain that preventable brain injury doesn’t happen to anyone else. In 2009, the state passed the Zackery Lystedt law—the first of its kind in the nation—requiring athletes who are showing signs of concussion to be removed from play. Since then, Zack has helped take the campaign national, and by the end of 2012, similar player protection laws had been passed in 40 states. 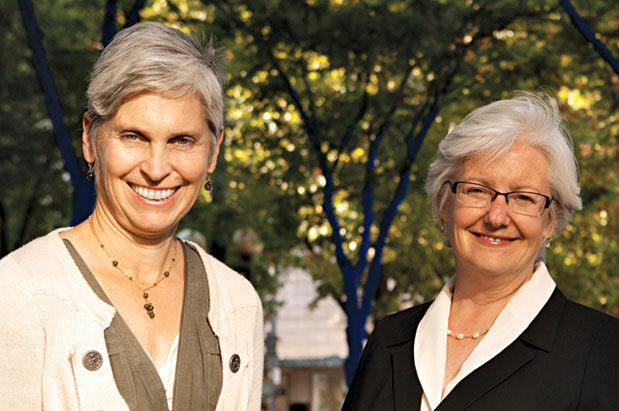 Downtown Seattle has seen explosive growth in the past year, thanks in part to the efforts of two powerhouse women. Former Seattle deputy mayor Maud Daudon surprised no one when she got the nod to run the city’s chamber of commerce earlier this year; musing about her possible future run for mayor has become a civic hobby of sorts. Joncas has helmed the Downtown Seattle Association since 1994, but the past year has seen her in a whirlwind of action, advocating for B&O tax reform, support for the deep-bore tunnel, the Third Avenue Transit Corridor initiative, the children’s play space in Westlake Park and a possible new downtown elementary school. It’s been a huge year for the internationally recognized infectious disease expert and director of GAPPS, an initiative of Seattle Children’s. Rubens contributed to the first-ever global estimates of preterm birth, published in May, which indicate that one out of every nine babies born in our state is premature. He received a $20 million Gates Foundation grant to research how to prevent premature birth and stillbirth. Also this year, he oversaw the launch of the GAPPS Repository, the first standardized data and specimen bank to support research on pregnancy, which played a critical role in this year’s huge University of Washington breakthrough: the ability to map the genome of an unborn child. 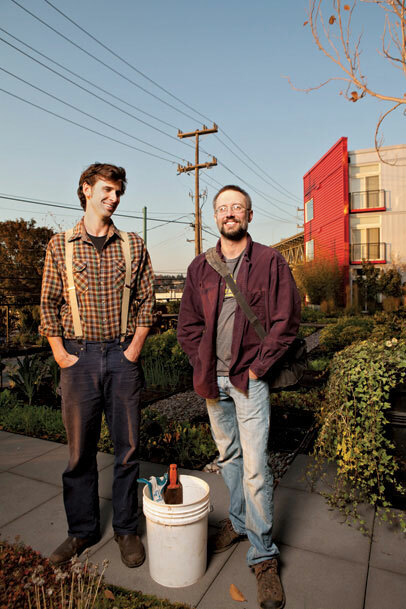 Colin McCrate and Brad Halm, founders, Seattle Urban Farm Co.
Colin McCrate and Brad Halm have been rolling in the green in 2012, designing and installing organic gardens in local backyards, at schools and on rooftops, including those of restaurants such as Bastille Café & Bar (for which they also run a cocktail tour) and, this fall, a co-op version for Sushi Kappo Tamura and Ravish. The dynamic duo also found time to release an in-depth DIY handbook this year, Food Grown Right, In Your Backyard. Amid the Susan G. Komen funding flap last winter, Cameron Levin turned the negative energy into a positive response by producing the Pink Carpet Project (PCP) fashion show in support of Planned Parenthood. After 14 designers, 60 models, 40 volunteers, 10 performers, 45 sponsors and 200 attendees all rallied together in Seattle, a second PCP show was held in Portland in July. Chris Hansen, hedge fund manager / Seattle basketball arena investor. 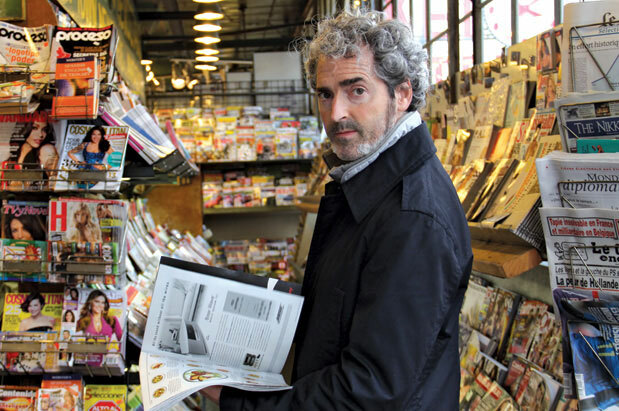 Read Knute Berger's full profile. It's too soon to tell if these Seattleites will make an impact in their (fairly) new respective fields...but we've got our eye on them for next year's list. 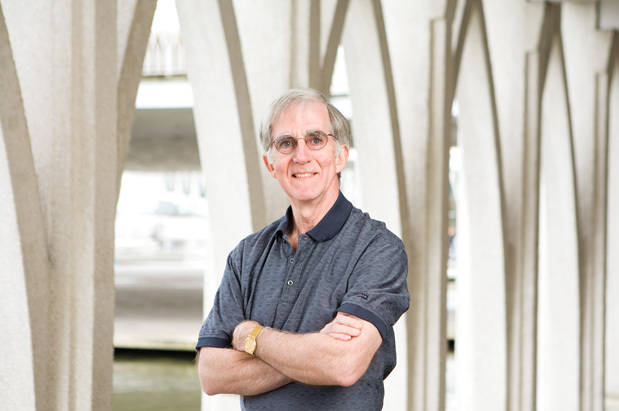 It’s a daunting prospect—filling the shoes of legendary global-health leader Christopher Elias—but Steve Davis is well up to the job. 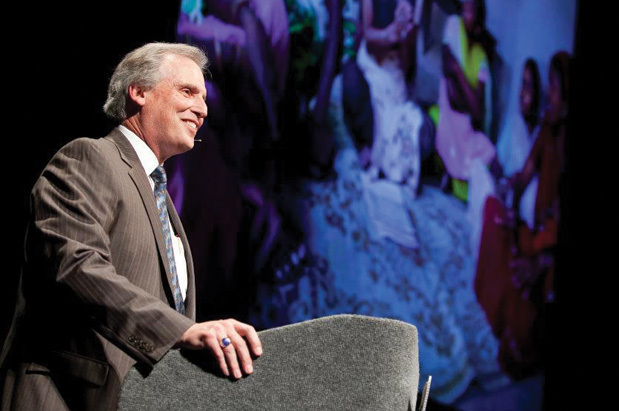 The former PATH board member was named president in June of this year, bringing his global health and human rights cred, including a stint as interim CEO of the Infectious Disease Research Institute. His new post at the helm of one of the world’s most effective global-health NGOs truly makes him one to watch. Longtime city employee Pamela Banks took a $25,000 pay cut to take over the Urban League civil rights group, which had been suffering amid scandal and financial woes. After wowing local and national selection committees for the CEO slot, she now steers her penchant for problem solving toward rebuilding the league’s beleaguered programming. The former CEO of Regence Blue Shield of Washington, McWilliams has turned her considerable skills toward making this nonprofit an indispensable resource for medical professionals, hospitals and consumers. The June release of the alliance’s first-ever comprehensive survey of patients’ experiences with primary care providers, a huge sampling called “Your Voice Matters,” was the first of its kind in our state; a meaningful step in understanding what needs fixing in health care. Former head of the Anaheim, Calif., school district, Banda was the sole applicant standing after two candidates for the superintendent spot suddenly dropped out earlier this year. School board members praise him for his calm demeanor and ability to lift up struggling schools. Here’s hoping he can bring stability to a district that’s seen four superintendents in 10 years. Seattle saw a slew of new people taking arts posts this year, all of which could make for excitingly fresh takes on the local arts scene. After being leaderless for more than a year, Seattle Art Museum welcomed new director Kimerly Rorschach, who previously founded Duke University’s Nasher Museum and built its yearly visitors from 10,000 to 130,000. After founding his own acclaimed contemporary gallery, Scott Lawrimore has moved on to the Frye Art Museum, where he’ll apply his avant-garde eye to the position of deputy director of collections and exhibitions. Seattle’s young wannabe filmmaker femmes are now looking up to Robin Held, new executive director of Reel Grrls, and emerging musicians are following the lead of Beth Warshaw-Duncan, who took the rock ’n’ roll reins as program director at The Vera Project. This talent booker and nightclub/restaurant owner (see: Neumos, Moe Bar, Big Mario’s) morphed into “neighborhood hero” this year after he took over the popular Capitol Hill Block Party (CHBP) music festival. Making a conscious effort to improve the fest’s impact on neighboring businesses and increase the focus on emerging musicians and local arts, CHBP 2.0 was met with acclaim. We look forward to seeing what improvements future versions will bring. Eric Pettigrew, D-37th District, has been making noise by bucking party politics and fighting for charter schools and education reform on behalf of poorly performing students around the state. And he’s not letting dissenting Democrats or the disinterested education establishment get him down. In fact, Pettigrew, who represents southeast Seattle, even created a committee for like-minded Dems, which is called Revising the Status Quo (or RSQ, pronounced risk). A former Navy pilot and oceanographic specialist, Ken Balcomb now takes the Navy to task over its controversial sonar and explosives practices, which he believes are harming marine life, and may be a reason for our declining orca population and why a battered corpse of the young whale known as L112 washed up on the Washington coast earlier this year.